The on-line form here will help in identifying the kind of stepper that a customer has. On the original stepper, running the 'CONFIG' command will require the same kind of information. The UPG_STEP upgrade kit will replace the LSI-11 minicomputer and all of its peripheral devices with a standard desktop PC. 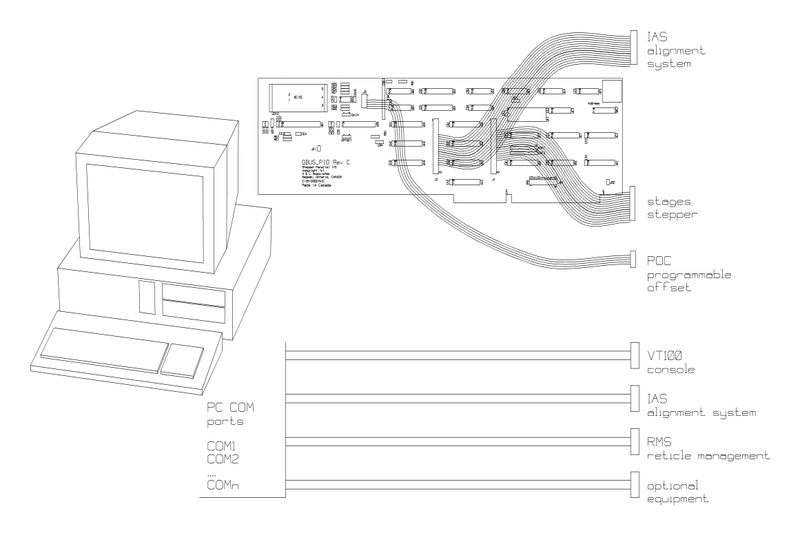 The interface to the 9289 chassis of the stepper is accomplished through either the QBUS_PIO ISA-bus interface card or the equivalent QBOX_PIO unit that connects to the EPP (Enhanced Parallel Port) of the desktop PC. The EPP unit would be used if the controlling computer had no available 16-bit ISA slot. for steppers running a MOP version earlier than 7.3x, the UPG100 can be purchased to replace the modified VT100 console terminal that contains a button box and wafer alignment joysticks. The original VT100 terminal can still be used with the upgrade kit if so desired. for steppers running MOP version 7.3x, such as the AutoSTEP, a UPG100 is not required since a VT340 console terminal was used and the buttonbox/joystick controls were replaced by keyboard actions. VT340 emulation software that is compatible with our upgrade kits can be purchased from Attachmate/MicroFocus. Any Windows based computer could then be used as a replacement for the VT340. steppers with optional equipment (IAS, DFAS, AWH etc.) may require additional serial COM ports in the desktop PC. We have successfully used Lava serial port boards and Rocketport multiport serial boards. 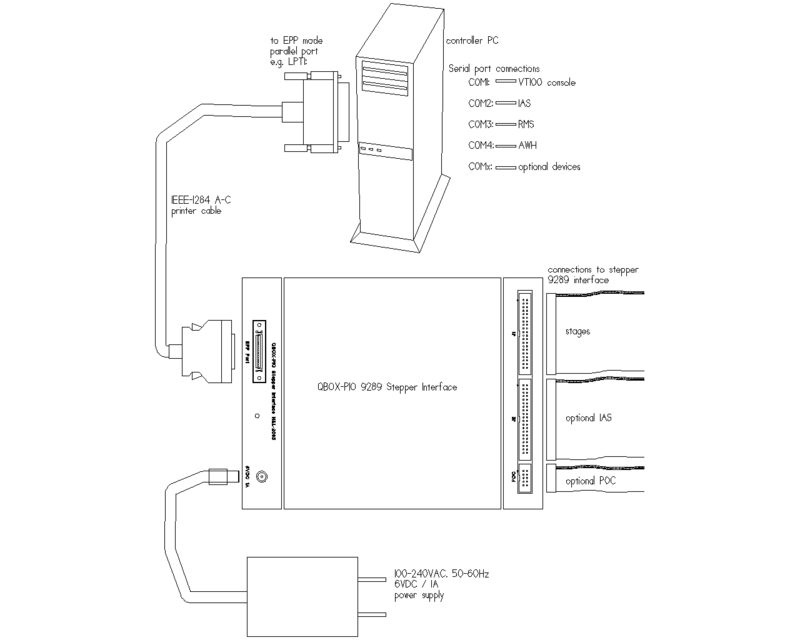 steppers with certain optional equipment (IAS, AWH, RRS and ACS) will require the UPG_BUF serial buffers on the ports connecting the desktop PC to the optional equipment. if the stepper has an Integrated Alignment System (IAS) that isn't used, then the UPG_IAS device can be used to restore the illumination control that is lost when the IAS is removed from the system.